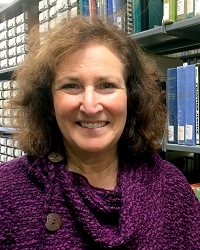 Pam Cravez will be telling stories from her book, The Biggest Damned Hat: Tales from Alaska’s Territorial Lawyers and Judges, and talking about the practice of law prior to statehood. Cravez interviewed more than 50 Alaska lawyers for the book, all of whom began practicing law prior to statehood in 1959. Published by UA Press (2017), the book was named among the top ten Best Alaska Reads of 2017 by the Fairbanks Daily News Miner. Cravez has worked as a public defender, chief of staff, reporter, writer, editor, and researcher. She holds a J.D. from Catholic University School of Law and an M.F.A. in creative nonfiction from the University of Alaska Anchorage. She is currently communications director for UAA’s Institute of Social and Economic Research.